Mandarin Oriental, Miami became one of Miami's first Forbes Travel Guide Five-Star hotels in more than 15 years when it earned the coveted Five-Star status this year. This East-meets-tropics paradise on exclusive Brickell Key features 326 rooms sporting the latest technology and balconies to soak up the views of the Miami skyline or Biscayne Bay. And the private Oasis Beach Club's 20,000-square-foot white-sand beach makes it one of Florida's most exclusive ocean retreats. One of two new Forbes Travel Guide Five-Star restaurants in Miamiâ€”the city's first such winners since 1987â€”Azul features floor-to-ceiling windows on three sides of the 120-seat, Tony Chi-designed dining room. Chef Jacob Anaya sprinkles European and Asian flavors into his new American cuisine. The lobster pot pie is delicious, but the service is what elevates this restaurant; pashminas are offered in a variety of colors in case you get cold, and reading glasses are at the ready when you peruse the menu. The three-level, 15,000-square-foot spa takes advantage of its waterfront Brickell Key location: The six VIP spa suites have floor-to-ceiling windows. The Spa at Mandarin Oriental Miami blends Eastern and Western philosophies to create highly personalized treatments inspired by the ancient cultures of the Balinese, Thai, Europeans and Chinese, as well as ayurvedic medicine. 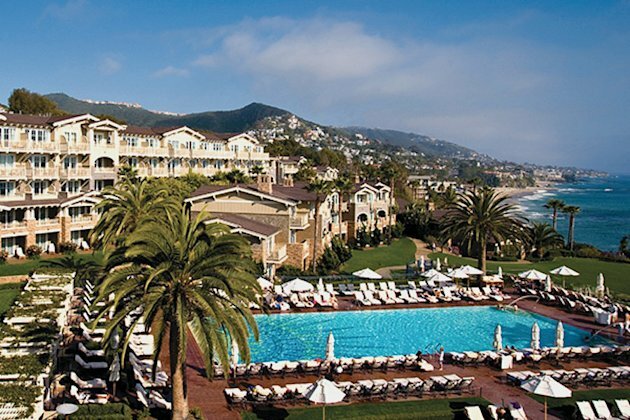 The Grand Del Mar, which opened in 2007, is the only Forbes Travel Guide Five-Star hotel in San Diego. It looks more like a Mediterranean estate, thanks to its arched doorways, rotundas, wrought-iron accents and ornate stone inspired by the works of famed architect Addison Mizner. The 249-room resort features endless activities, ranging from the equestrian center and Tom Fazio-designed golf course to six restaurants and four heated pools. 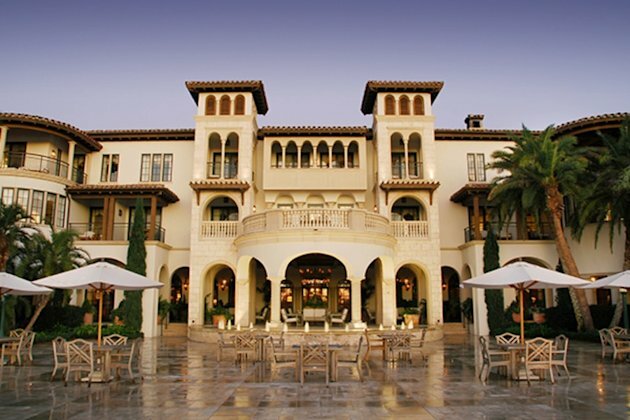 Named after Addison Miznerâ€”the architectural inspiration for the entire Grand Del Mar resortâ€”Addison is one of just four Five-Star restaurants in California. Chef William Bradley changes his three- to 10-course menus frequently to incorporate seasonal ingredients. To complement the contemporary French menu and 3,600-bottle wine list, ask for a table with a view of the golf course. White Carrera marble and warm wood accents set the tone for The Spa at The Grand Del Mar. As the only Forbes Travel Guide Five-Star spa in San Diego, luxury here is at its finestâ€”HermÃ¨s scarves line the pathway to the women's relaxation lounge, while the men's club-style lounge sports a 40-inch flat-screen TV and high-back crimson leather chairs. Founded by Spencer Penrose in 1918, The Broadmoor has maintained its Forbes Travel Guide Five-Star rating since 1960â€”the longest of any property in the world. The stunning 744-room Mediterranean-style resort sits at the foot of the Rocky Mountains on 3,000 acres. From the three championship golf courses and 18 dining spots to the on-site movie theater and 26 shops, there's plenty to do at The Broadmoor. 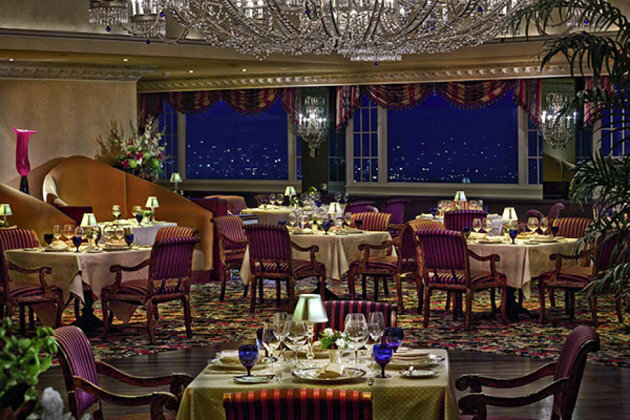 The Penrose Room, Colorado's only Forbes Travel Guide Five-Star restaurant, sits on the top floor of The Broadmoor's tallest building, with picturesque views of Cheyenne Mountain and the twinkling lights of Colorado Springs. Chef Bertrand Bouquin serves up contemporary French fare in its classically formal dining room. And the service is impeccable at Penrose Room: Each table is assigned a three-person team plus the sommelier to cater to your every need. The lakefront Spa at The Broadmoor epitomizes serenity and relaxation. The opulence is understated, but certainly evident in touches such as hand-blown Italian glass chandeliers. Unwind in the coed Mountain View Lounge to soak up vistas of the golf courses and Cheyenne Mountain. And don't miss the 18-head serenity shower that adjusts to your height and preferred temperature and water pressure. Part of the glitzy CityCenter complex, Mandarin Oriental, Las Vegas offers a non-gaming respite in Sin City. The 392 sleek guest rooms have floor-to-ceiling windows and views of the neon-lit Strip or the surrounding desert mountains; one-of-a-kind artwork; and subtle Asian-inspired touches. The Adam Tihany-designed hotel opened in 2009, receiving its first Forbes Travel Guide Five-Star award in 2012. It feels exclusive when you enter its 23rd-floor Sky Lobby, but the refined service is more than welcoming. Twist restaurant, the only Pierre Gagnaire outpost in the U.S., achieved the Forbes Travel Guide Five-Star rating in 2012. Sitting on the 23rd floor of Mandarin Oriental, the 72-seat modern French restaurant serves up innovative cuisine in avant-garde presentations. Multiple servers assigned to each table make the dining experience seamless, and the wall of windows adds a romantic atmosphere. The two-level, 27,000-square-foot Spa evokes the glamour of 1930s Shanghai with its Art Deco elements, dark woods and Chinese undertones. The relaxation lounges offer views of the Strip, while the hammam, laconium (somewhere between a steam room and sauna), vitality pool and the ladies' rhassoul go beyond the traditional spa treatments. 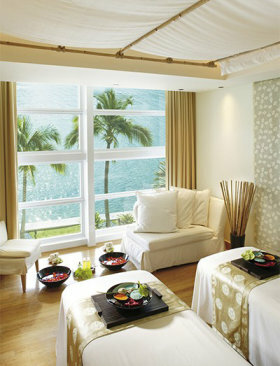 Like other Mandarin Oriental spas, this Forbes Travel Guide Five-Star delivers attentive but discreet service. The Cloister, Sea Island, Ga.
Reborn in 2006 after a $350 million rebuild, The Cloister has been a favorite coastal retreat since 1928. The Spanish-revival architecture is a nod to the resort's original architect, Addison Mizner, and the Mediterranean details (Turkish rugs and wood-beam ceilings in the guest rooms) further cement that style. There are endless activitiesâ€”golf, horseback riding, squash and five miles of beach, to name a fewâ€”and the Sea Island Yacht Club boasts the 71-foot vintage Cloister Belle yacht that's great for sunset cruises along the golden marshes. The Old World dÃ©corâ€”gold and crystal chandeliers, a carved stone fireplace, heavy draperiesâ€”dictates the lavish atmosphere at the Georgian Room restaurant. But chef Daniel Zeal's refined Southern cuisine strikes just the right contemporary balance (when it's served on hand-painted Bernardaud china, of course). The ingredient-driven, regionally inspired menu features dishes such as Zeal's signature Caesarâ€”a deconstructed salad that's wrapped in a ringlet crouton. The 65,000-square-foot Cloister Spa dons a Mediterranean-influenced design with arched doorways, white pillars, dark wood and Turkish rugs. Relax in the Garden Atrium with its soothing stream, plants and olive tree, or take a dip in the elevated pool in the white-pillared Water Atrium. Celebrating its 10th anniversary in true luxury fashion, Montage Laguna Beach earned its first Forbes Travel Guide Five-Star rating this year. The 248-room Craftsman-style resort features a classic wood-and-stone exterior with a shingle-style roof that complements its rugged cliff-top location. You can spend your time soaking up the Southern California sun on the beach or by one of the three swimming pools. Chef Craig Strong heads up the kitchen in this Craftsman-style restaurant overlooking the Pacific Ocean. With a wine cellar stocked with more than 2,500 labels and an ever-changing contemporary French menu incorporating ingredients from local purveyors, Studio received its first Forbes Travel Guide Five-Star award in 2009. Opt for a table outside for a fantastic viewâ€”watching the sunset beyond the Laguna Beach cliffs is a must. This 20,000-square-foot oceanfront spa makes the most of its Southern California locationâ€”the exercise studio has floor-to-ceiling, open-air windows and expansive views of the Pacific. Spa Montage Laguna Beach, which gained its Forbes Travel Guide Five-Star rating in 2005, takes a holistic, get-back-to-nature approach to its wide range of treatments.